TORONTO – Sherritt International is raising C$115 million through the sale of shares and share purchase warrants. The proceeds will be used to reduce debt, for general corporate purposes and to fund future growth. The company will issue 82.1 million units at a price of C$1.40 per unit. Each unit will consist of one Sherritt common share and one-half of one share purchase warrant linked to the price of cobalt. Depending on the cobalt price, the shares-to-warrant ratio will be between 1.00 and 1.25 as the cobalt price rises from US$34.99/lb. to over US$55.00. Each full cobalt linked warrant may also be exercised at a price of C$195 for 36 months after the offering closes. The offering is subject to satisfaction of customary closing conditions, including the receipt of all necessary regulatory and TSX approvals. It is expected to close on Jan. 25, 2018. 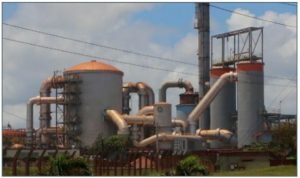 Sherritt operates nickel-cobalt mines – Moa in Cuba and Ambatovy in Madagascar. Additional information is posted at www.Sherritt.com.